Based on your response to our survey the other day, we have made the purchase of these jigs available in our on-line store. As with all of the router bits, there is a 5-6 week leadtime. Whiteside has indicated they would do their best to have these available to ship to you by Christmas if we order promptly, however, they cannot guarantee that they can make this date. At this time, we have the Full Set, the Large Set and the Small Set as well as the Backer Boards available to purchase in the store. 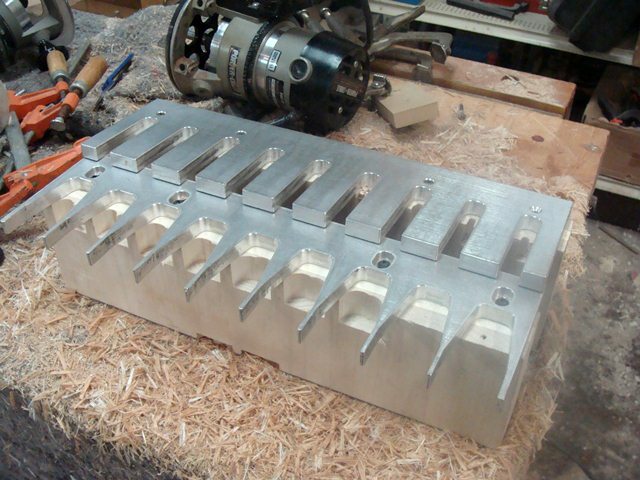 We will place the order for the jigs and bits as soon as the minimum production quantity is received. We will be placing the bits, individually in the store when they arrive in-house.